Inspired by the powerful words — we love because we are loved (John 4:19) — Westminster United Church has been serving the community for 125 years. This is our narrative budget. Our narrative budget visually tells the story of how your financial gifts ensure the vision and mission of Westminster United Church continues each and every day of the week. Your generosity and support makes a difference! Described as the heart and soul of our congregation, Westminster oﬀers inspiring worship services where everyone is welcome and all who gather are encouraged to connect and engage their faith with our daily living. This happens through our weekly Sunday morning services, special services such as Baptism and Communion, Ash Wednesday, Good Friday, and Blue Christmas, and services reﬂecting life’s transitions such as weddings and funerals. Our two Christmas Eve services (early and late) and Easter Services are always joyous and music ﬁlled. Westminster’s long tradition of music in worship is part of every service through the musical oﬀerings of our music staﬀ, choir and soloists, and our amazing Casavant organ. Your ﬁnancial gifts to Westminster fund our staﬀ, leadership, music, lighting, heat, bulletins and more that is required for vibrant worship services. Westminster has a long history of reaching out and supporting the wider community in a variety of ways. Some examples this year include: relationship building with Mulvey School, Christmas Cheer board hampers, the annual Children’s Christmas Sale, a mitten and sock tree, and collecting items for hygiene kits for Bell Tower Community Café, to name a few. Westminster is also the place where many community groups meet and gather, do good work and create amazing music. Girl Guides of Canada and Scouts Canada groups meet every Monday and Tuesday nights. The Westminster Children’s Care Centre has been housed in our building since 1966. Every second Friday, Westminster opens its doors to the Bell Tower Community Café — who also partner with Winnipeg Harvest and others to oﬀer food, coﬀee, music and a sense of community and welcome to those who gather. 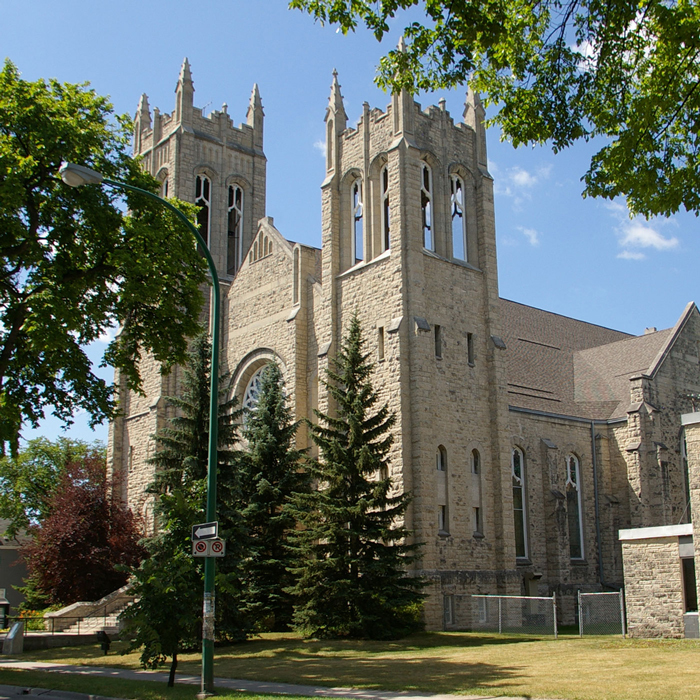 And Westminster is the site of the Westminster Organ Concert Series, the Manitoba Chamber Orchestra, the Winnipeg Music Festival, and is the place where many special concerts, performances and events by local, national and international artists and musicians take place. Being a caring and connecting community is a very important value to the congregation of Westminster and is lived out in many ways — volunteer pastoral visitors who stay connected to those who can no longer get out to church; pastoral care, hospital and bereavement visits by the minister; our card ministry; after church coﬀee and potluck lunches; knitting and quilting groups; and through our ushers and greeters who welcome all who come through our doors every Sunday morning. Your ﬁnancial gifts support the purchase of cards and postage, volunteer training in congregational care, staﬃng and leadership, and a discretionary fund to directly support those in need. Westminster connects with the work of the wider church in a variety of ways, including: supporting the national Mission and Service fund, providing meeting space to wider church meetings and gatherings, and volunteer and staﬀ participation in presbytery and conference work. Westminster is also a ‘partner in mission’ with the West Broadway Community Ministry. Your ﬁnancial gifts fund ensures this wider church ministry continues, and that our doors can always be open to those who wish to meet in our space. Westminster provides opportunities for learning and spiritual growth for all ages, so that everyone in our community can explore what it means to be faithful people in today’s world. Our Children’s Table provides scripture- related activities for children to engage in during worship. Messy Church is a new initiative where all ages gather together in a relaxed, casual environment to share a meal and engage in an interactive, worshipful experience. The Splash! Program is a monthly newsletter sent to all our baptism families. An adult study groups explore relevant spiritual topics (such as this past year’s In Life, In Death, In Life After Death) as well as opportunities for bible study. Westminster staﬀ members are also supported in growth and learning through professional development and continuing education opportunities. Your ﬁnancial gifts fund our staﬀ and leadership, curriculum and program resources, communication resources, staﬀ development as well as lighting, heat and building costs so that our space can be welcoming and friendly to all who gather.